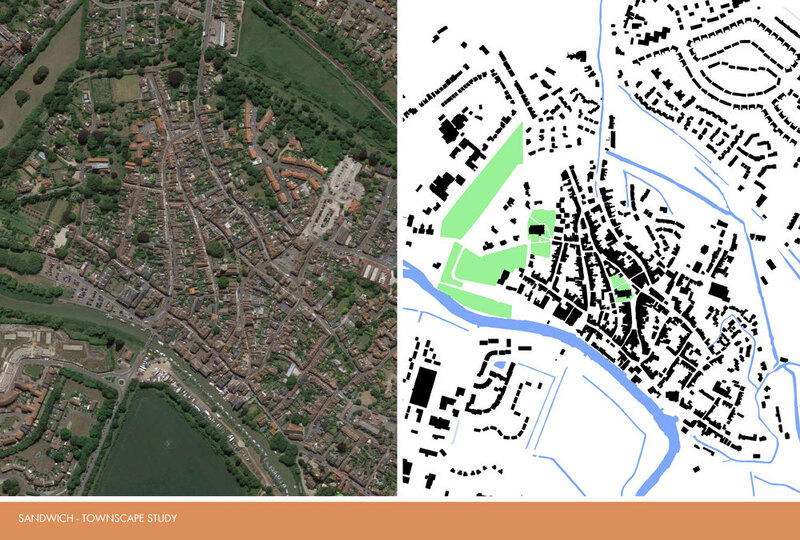 The theory and practice of urban design is methodologically linked as is building and architecture – the former, 90% of which is the fabric of a city,(and most of it housing) and which provides the space defining structure also creates a framework for the architecture. The architecture – the monuments of old or the landmark buildings of today – provides the civilising presence in the city. Our interests at Richard Reid and Associates is in the assessment of the urban design strategies available for each and every problem and in understanding the effect and appropriateness of particular strategies at a range of different scales governed by lifestyle trends, technical developments, climate change and cost constraints. 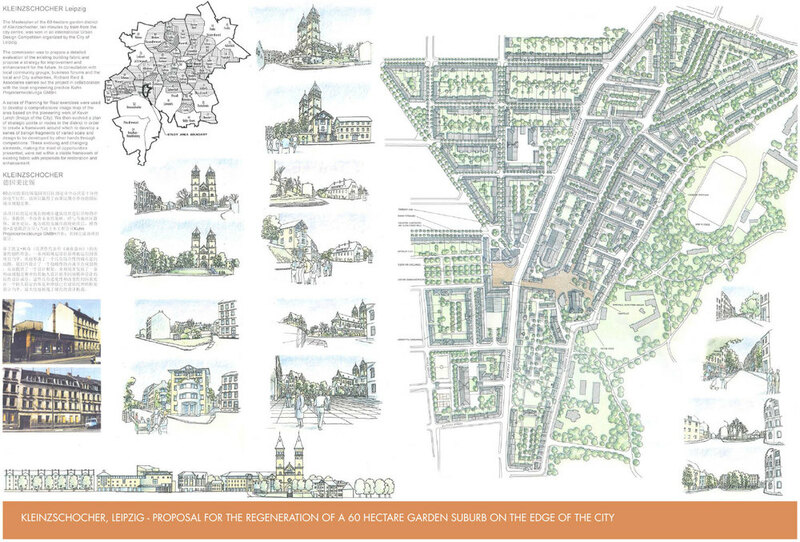 We are also interested in the relationship between the vernacular tradition and the grand design tradition and the lessons to be learnt from vernacular building and planning, with the emphasis on more compact, healthy and resilient urban typologies, with energy efficient, cost effective developments with a mix of terraces and apartments as appropriate with courtyard gardens, generous balconies and the use of planted roof tops and good quality shared open space. 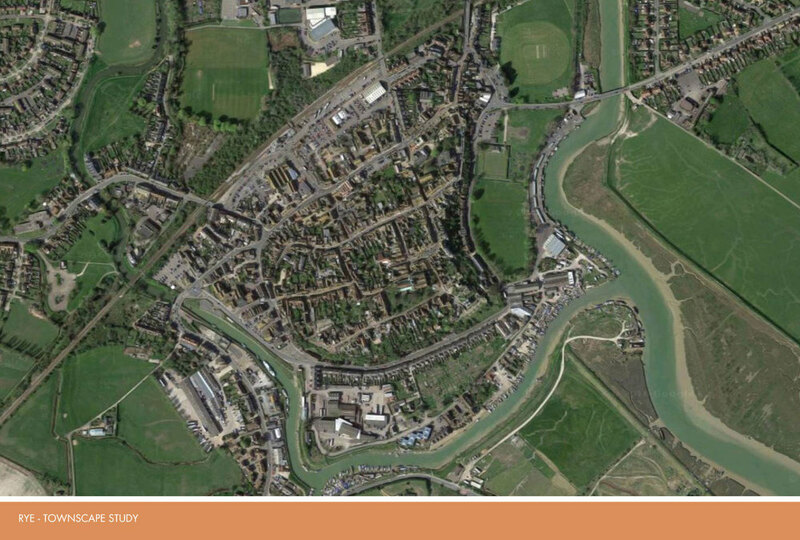 The proposed developments should be easy to manage, with reduced car dependency, attractive townscapes and walkable neighbourhoods. 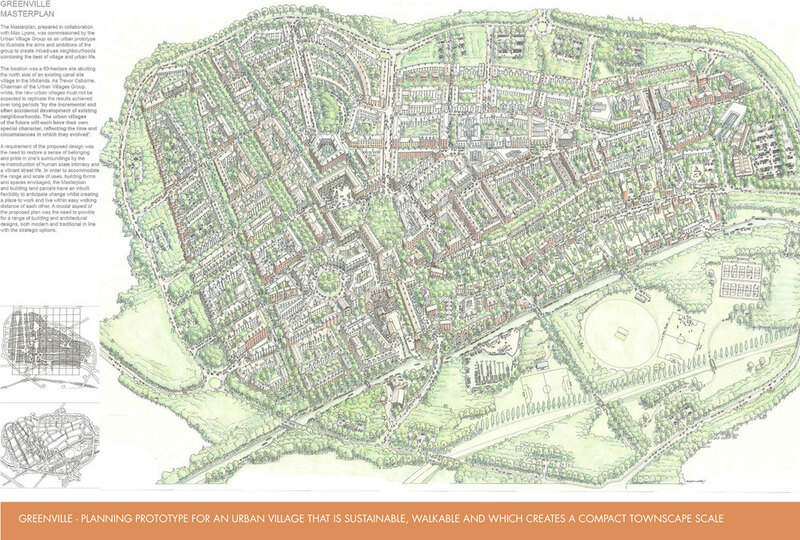 GREENVILLE – Planning prototype for an urban village that is sustainable , walkable and which creates a compact townscape scale. 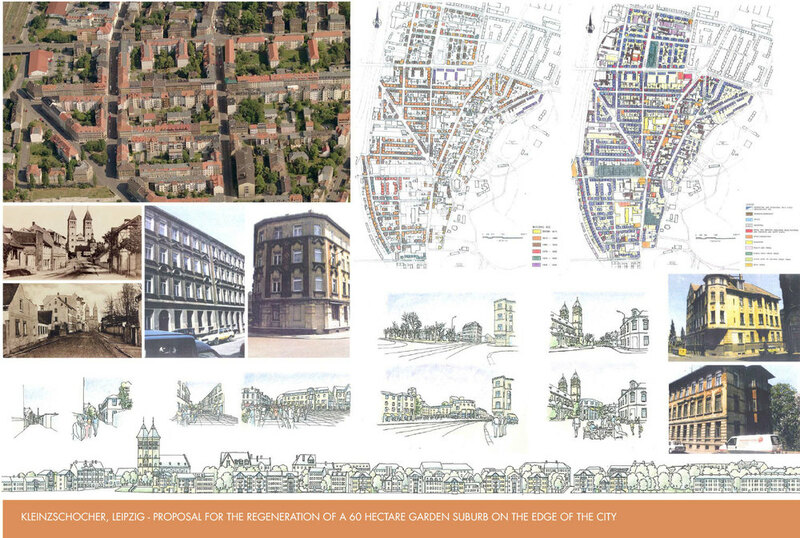 Key examples are our early Townscape studies for the Architectural Review; the regeneration proposals for the garden district of Keinzschocher, Leipzig; Holyrood, Edinburgh; Northfleet Embankment, Gravesend and the Bertalia- Lazzaretto District, Bologna. 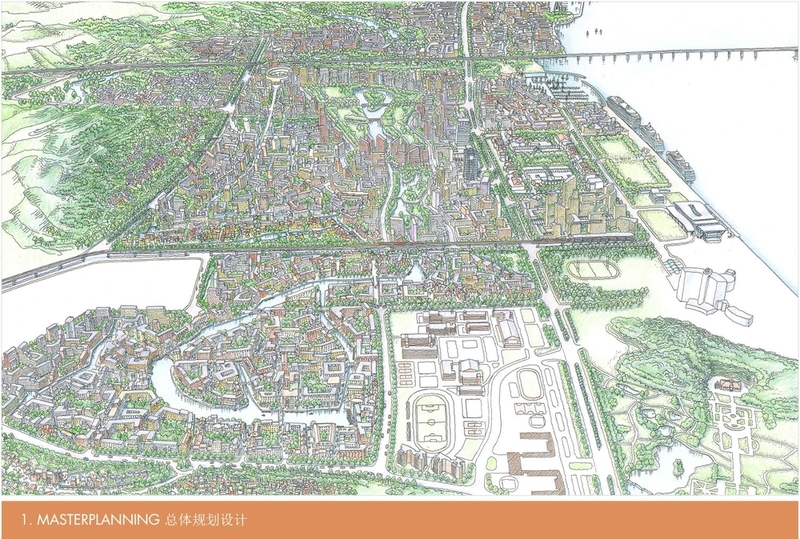 The practice have also completed a number of masterplanning and urban design projects in China such as the Hill Village, Nansha; the Marina Quarter and the high density mixed use development for the proposed Vertical Garden City at the Luwan Gardens, Nansha. 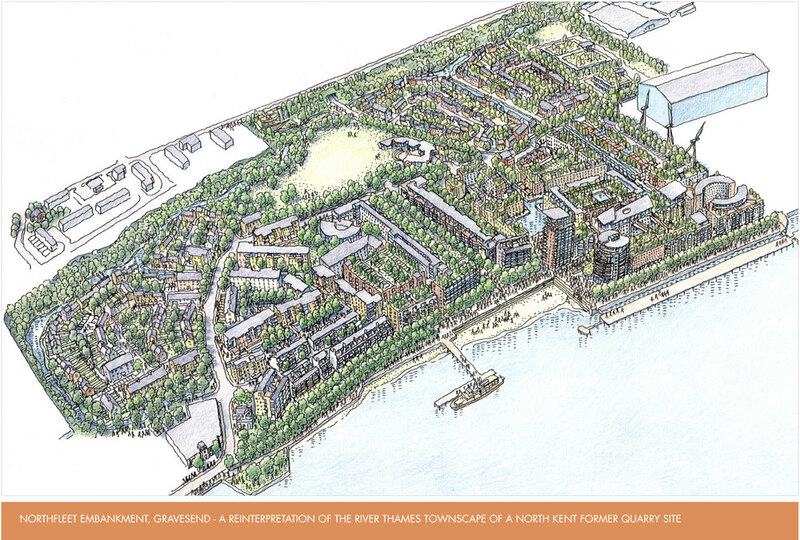 Other projects include the masterplanning project of Greenville for a proposed urban village (in collaboration with Max Lyons), and the masterplan and prize winning designs of Clearwater and the Howells Mere leisure developments for Lower Mill Estate in the Cotswold Water Park. 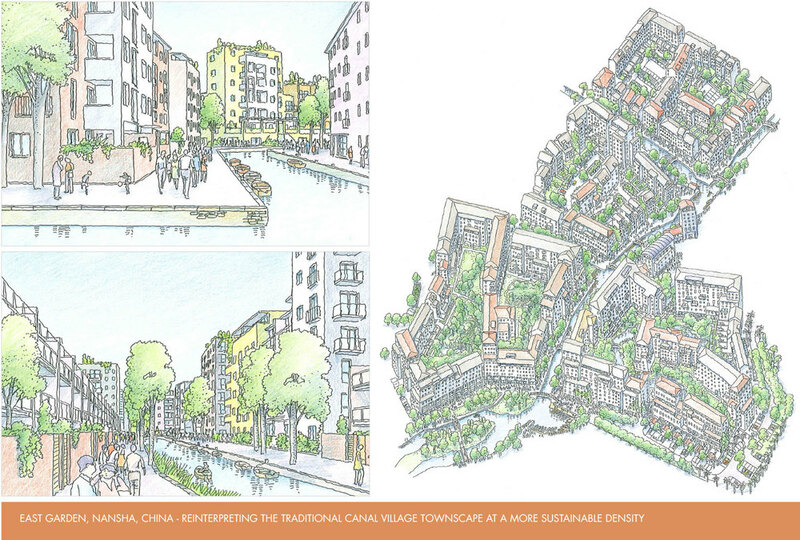 NANSHA HILL VILLAGE – Learning from traditional building and planning in South China to create a sustainable and walkable townscape. At the end of the day, building and architecture, whilst clearly of great importance, are only a part of the place making process. 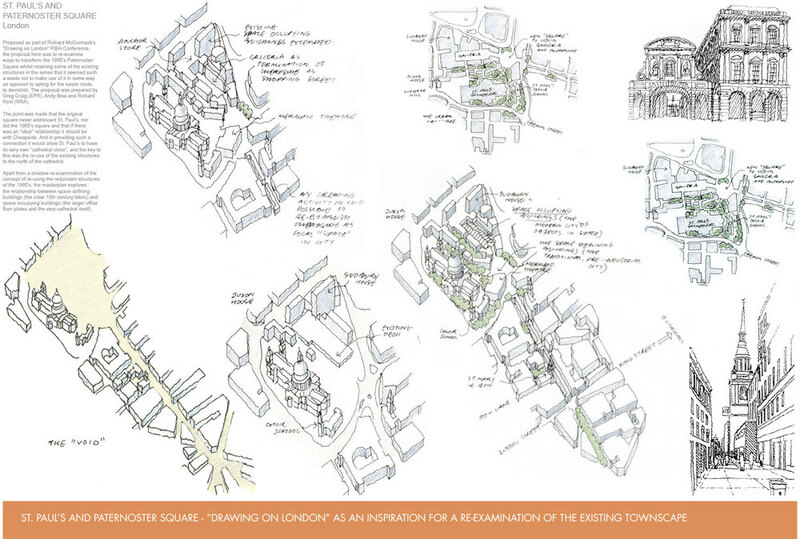 And whilst the urban designer needs considerable knowledge as well as the wisdom to use it they need, above all, to have great teaching skills and the ability to listen and learn in order to draw the social and spatial closer together in order to create a more comprehensible and attractive urbanism.